The crunch number for a project is the sale price of electricity generated by the wind farm. For some older contracts for wind farms in Texas, the sale price was below $0.025/kWh for a 15-year contract. The only way this could happen was with the production tax credit, accelerated depreciation, tax abatements, and renewable energy credits (RECs). For wind farms being installed today in the United States, the production tax credit is still the main driver. Sale contracts are higher, and some wind farms are selling electricity in the wholesale or merchant market. 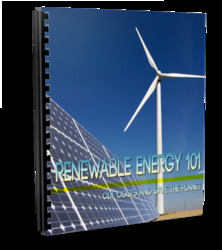 One selling price is the avoided cost, which is mandatory, and the minimum value that should be paid to the wind farm is the fuel adjustment cost of the utility. The COE is estimated for a 50 MW wind farm in the Panhandle of Texas, class 4 winds. The wind turbines are rated at 1 MW and are on 70 m towers. The installed cost ($ 2007) is around $1,600/kW, and from Example 12.6, the COE is $77/MWh. So with a production tax credit of $20/ MWh, the wind farm developer would need to obtain around $55/MWh. Other factors, such as accelerated depreciation, would assist in the return. The $0.55/MWh (landowners will not receive any of the PTC) generates $8 million/year at 4% royalty = $320,000/year. At $4,000/MW, the minimum would be $200,000/year. At 0.5 ha per turbine taken out of production, 20 ha are lost. The value at 4% royalty = $16,000/ ha/year. This is much more than a farmer or rancher can make from crops and livestock. The wind farm will also pay property taxes; however, in many cases wind farms try to obtain tax abatements for some time period for the economic development. Instead, the wind farm will pay in lieu of taxes, primarily for schools. The megawatt hours generated, income, and the rate paid to the wind farm by yearly quarters can be obtained from the Federal Energy Regulatory Commission (http://eqrdds.ferc.gov/eqr2/frame-summary-report.asp). 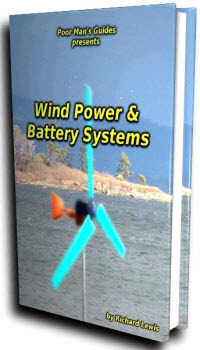 The capacity factor can be calculated from the megawatt-hours generated and the installed capacity of the wind farm. Also, the type of sale can be obtained from the rate: power purchase agreement at fixed rate, power purchase agreement with peak and off-peak values, or if it is market, it gives the high and low value plus the average. As an example, for 2008 Q1, the Wildorado Wind Ranch received $5.4 million for 178,000 MWh from a power purchase agreement of $30.77/MWh. Since the wind farm has an installed capacity of 161 MW, the capacity factor for that quarter was 49.6%.